A top-flight albeit white American West Coast Jazz outfit records an album in Johannesburg in April 1958 - including an extended tribute track to the African Penny Whistle? So, my education continues. A bunch of students at the University of Natal (The Rag Committee) were doing their annual chairty fundraising drive and somehow persuaded Shank, Claude Williams, Don Prell and Jimmy Pratt to tour South Africa. Concerts were played in Cape Town, Durban and Johannesburg. Students Peter Colombine and David Gordon had succeded where professional promoters had failed. While they were no plans to record, South African fans succesfully urged them to record. Shank called Pacific Jazz in Los Angeles to see if they would pay for an album. Pacific Jazz did not. The South Africans raised the money, and on 23rd April the quartet found themselves in what "was described as a studio". While on tour Bud Shank was given a pennywhistle as a gift, and so it was that the record's producers pressed him for a pennywhistle number to honor African music. Bop pianist Williamson was presented with a thumb piano, Pratt a West African drum and Prell a Nigerian bamboo harp. The result was A TRIBUTE TO THE AFRICAN PENNYWHISTLE. 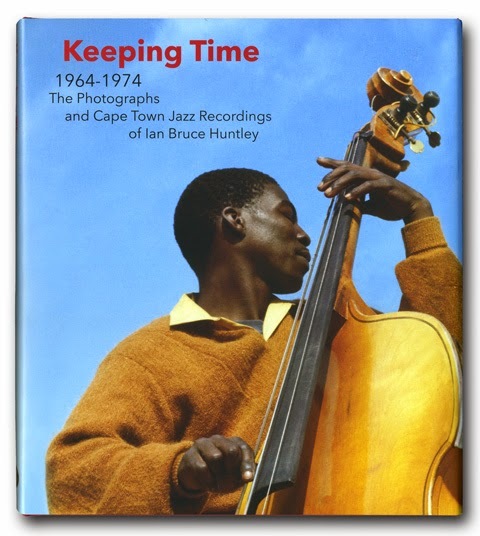 The cover photograph of the album - only issued in South Africa - was produced by celebrated South African photographer Peter Magubane who was working at Drum Magazine at the time. "I just made up something. It was a blues. The stupid pennywhistle ended up, as I remember, in the key of A-flat, by accident, because nobody down there ever played a pennywhistle with anything other than just a rhythm section, not another keyed instrument. I learned how to play the damn thing while I was making this record. When I first start playing it, I'm squeaking and very tentative and as it goes along, after about 20 choruses, I begin to figure it out." Jazz Profiles continues: "Goofy as the assignment may have been, the performance has a good deal of charm and Shank seems to take modified pride in having subdued and adapted an instrument not remotely suitable for jazz improvisation. The band returned to their customary instruments for the other six tunes, which include three impressive Shank compositions, CHARITY RAG, MISTY EYES and WALTZIN' THE BLUES AWAY." The album was later released on some obscure European labels, (some of them pirates). It was relased on the Flamingo Jazz series in the UK in 1961. It was re-lreleased in 1989 on CD on a German label. As far as we can see, all of these are now out of print. 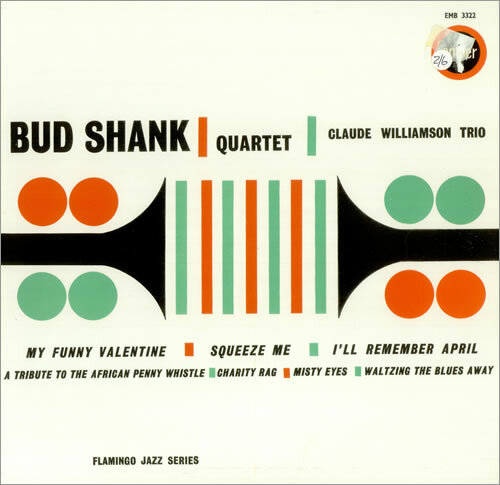 Budd shank died in April 2009 at the age of 82.